Congratulations! 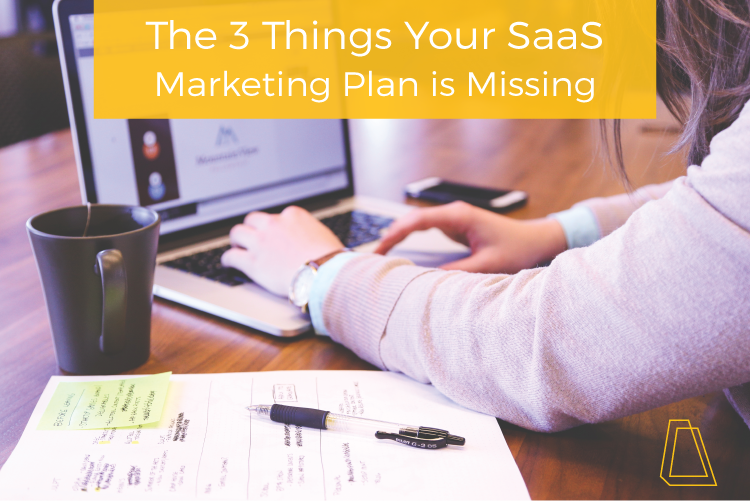 If you’re reading this, you’ve likely already developed a marketing plan, which is an important step that many SaaS companies overlook right off the bat. Creating a marketing plan can certainly be an undertaking—but using a template that outlines exactly what you need will set your SaaS marketing plan up for success. In the past four years of working with startups and small companies, this is the most-missed item that I’ve seen in a marketing plan. A founder comes up with a great idea, develops a product, launches and... crickets. That’s because so many small businesses aren’t specific enough about exactly who they’re marketing to (this is a big miss when it comes time to drive leads). Completing target market research is really just the first step in a marketing plan. You should have a general understanding of what kinds of businesses or people you’re marketing to, but take it a step further with buyer personas. Use this template to build personas quickly and interview a few customers or prospects to confirm the details. Which channels will you use to promote your business? Consider social, email, print/digital marketing, etc. What is your budget? Make sure this is a sustainable amount that you can spend or increase over time so you can see steady results. How will you communicate? Is your company fun, friendly, professional, serious? Ideally, you should have a copywriting style guide, but if you don’t, at least define your most important brand traits and grammar preferences. How will you measure results? What is considered a good return on your marketing investment—dollars, traffic, followers, other? Not creating a conversion path is an easy mistake to make. Your company wrote a marketing plan, you created some great content and you implemented flawlessly, but you only included one form on your website and it has too many fields. Studies show that more fields equates to fewer conversions, so consider your path carefully. Include an option for conversion on every single web page (such as a form to request a consultation or a content download). Be sure to read up on the buyer’s journey to understand where your marketing fits into the purchase process. Then, evaluate your plan—does it include targeted marketing for each buyer persona during each stage of the journey? If not, it’s going to be extremely difficult to move your buyers seamlessly through that journey. What’s the most important part of a SaaS marketing plan? Anything to add to the list above? Leave a comment below and let me know! Looking for help with your B2B SaaS marketing? Connect with Milwaukee marketing agency, Accelity Marketing.